As part of IWD celebrations, coach Jane was invited by Trafford Council to deliver a talk at the Sale Waterside Theatre about her experiences and reasons for setting up the #MileShyClub. The talk gave a humorous insight into what it was like starting a club when suffering with anxiety, and being able to push ahead with progress, despite being scared. 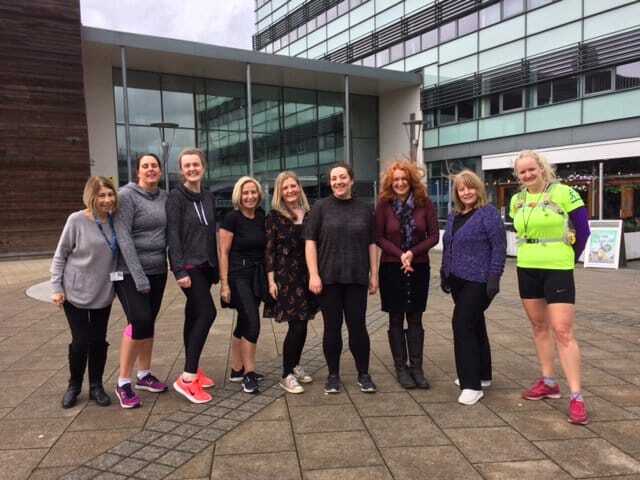 Earlier in the week, coach Jane also delivered a one off session to Trafford Council employees, and we are pleased to say we have heard that one or two are still plodding away! Thanks to much to Trafford Council for supporting us. Just under 40 #MileShyClub first timers turned out today at Stretford ParkRun to take on their first 5k. This was truly an epic achievement for us as a club - it was so wonderful to see everyone achieve their goals. We really had a strong presence today at the ParkRun, and it was great to see so many of our more experienced runners come out and run and volunteer, cheering everyone on. We hoped you liked the Slimming World inspired goody bags too! We were super excited and grateful for an invite this evening to Slimming World. We met with existing members of Slimming World and gave a talk about what we do here at the #MileShyClub and how exercise in any form can be a way to help lose weight. We really had a lot of interest from our session, and we have a feeling we’ll be seeing lots of you soon! Many thanks to Area Manager Claire, who organised our visit. 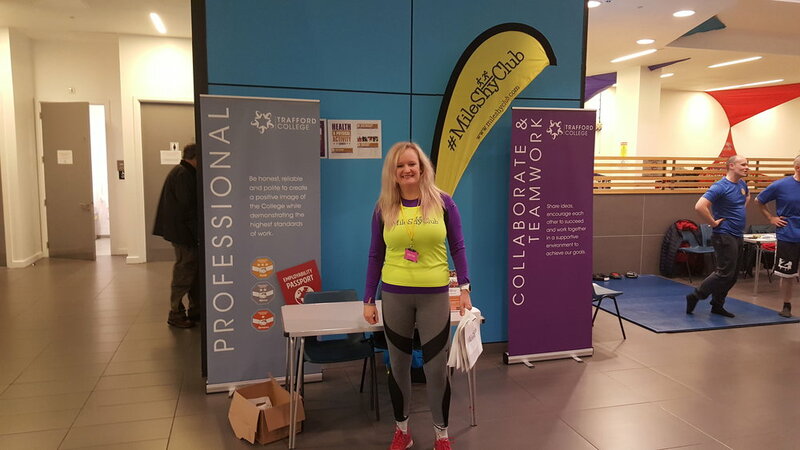 During January, one of our club members, Caroline, took it upon herself to collect any pre-loved fitness clothing, or unwanted Christmas gifts, which could be passed on to those wanting to get into exercise in an affordable way. 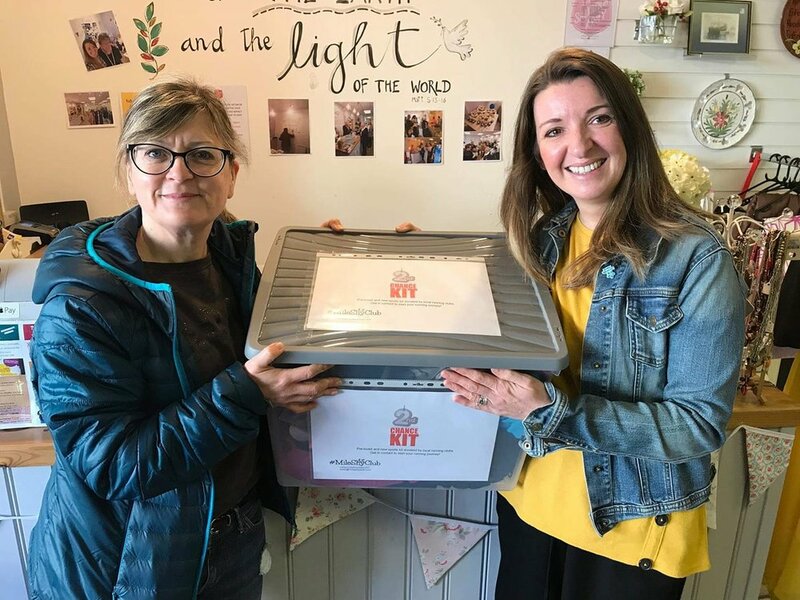 It was wonderful today to present our items to The Light charity shop. Many thanks to other running clubs in the local area who supported this initiative. 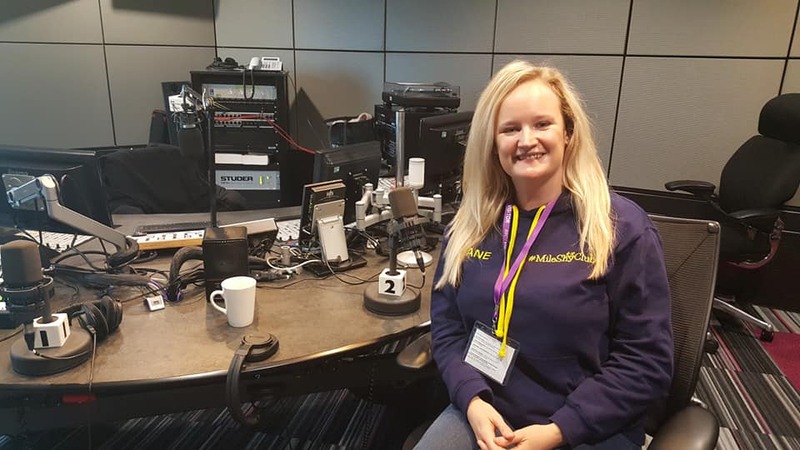 Radio DJ Chelsea Norris is training to complete her first 5k, and who better to invite along for advice than #MileShyClub founder Jane Dennison! It was a pleasure to talk all things running with Chelsea, and offer some expert advice. We’re looking forward to seeing how Chelsea gets on! We are super excited to share news of a very special monthly 'run'. 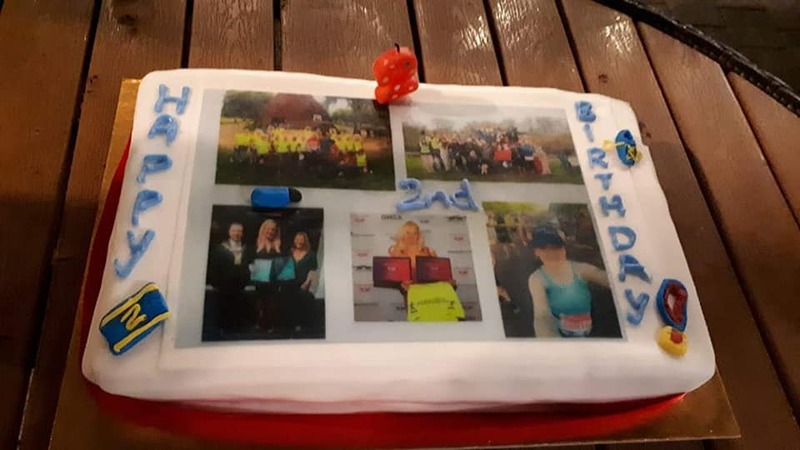 You may know that we have a mental health team here at the #MileShyClub and the team are going all out to try and encourage more of you to try running for the first time. We are calling these sessions a 'run around the block' - we won't be covering more than a mile, and you are free to walk rather than run. The aim of the session is to provide you with a much more relaxed introduction into running, and it will be a chance for you to meet some of our coaches (and find out what all the fuss is about!). Our flyer with more info about these events is below. Our first Run Around the Block session is next Wednesday, so if you are one of the many people who often get in touch to say you're going to give it a go, but lose your nerve, then this session is specially for you. Started by Jane, with a twinkle in her eye. Hoping at least someone else, would show up too. Now Jane can’t get rid of them, no matter what she says. To help us grow and learn some more. To Jane and the MileShy crew!! !